Khelifa had been collecting the eggs of odonates in the Swiss Alps for experiments into how temperature affects larvae. But over the two summers he spent there, he noticed unusual behavior among female dragonflies of the species Aeshna juncea . 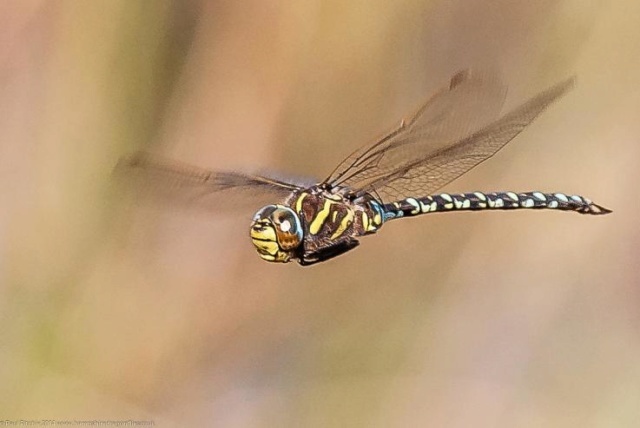 In a study published in the journal Ecology, he wrote that on July 5, 2015 “while I was waiting at a pond near Arosa, at about 2,000 meter elevation, I witnessed a dragonﬂy dive to the ground while being pursued by another dragonﬂy... the individual that crashed was a female, and that she was lying motionless and upside down on the ground. For someone who only got a fleeting glance he seems very sure about the genders. Maybe it was the female chasing the male & him playing dead? Tho to be fair, it's after the deed that human males usually roll over & play dead, bless their hearts.